Their first reaction is to do a double-take. 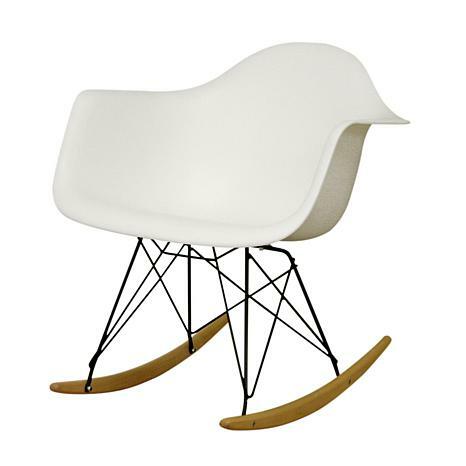 Then your friends will want to try out this minimalistic, contemporary rocking chair. This whimsical rocker is crafted with an eye-catching robin's-egg blue seat with a sturdy, chromed-steel base and light-stained ash wood legs. Measurements: Approx. 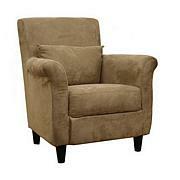 24"W x 27"H x 23" Deep Seat Height: 15"
this chair is just right for me. I am so short. I love it. Didn't think I would, but it is perfect. Simple to put together. Just a couple of bolts they even furnish the tightener. 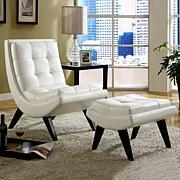 Purchased this rocker in white. It's small but perfect for my little girls nursery. Very easy to assemble. 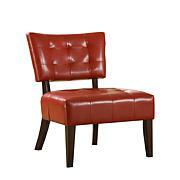 love the mid-century style and affordable price. i got this in white for the baby's room and although it may not be as comfy as a huge cushioned rocker, it sure does look a lot better! why not get something you will want after the baby has grown! super cute and not uncomfortable.